Knitwear has some serious game this year! If there is one 100% warm combo that can be worn during Fall and Winter seasons, then it’s knitted sweater and coat. Today’s fashion offers so many interesting sweater designs, starting from relaxed ones in cable-knit, fitted styles to work appropriate must-haves. Of course, you have to play with proportions in order to create something feminine and eye-catching. This combo is fantastic! A cream-gray tailored coat is draped over gray-blue cable-knit sweater. Of course, you are free to wear whatever topper you want, but I think these two garments will easily compliment each other. No matter if your sweater is tucked in or untucked, you can still make it look ladylike and sophisticated. 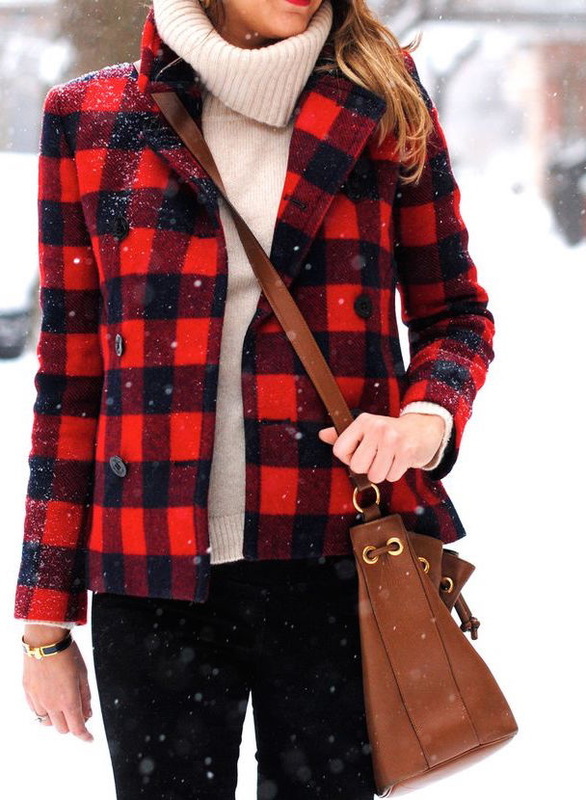 Complete an elegant look by adding a structured coat. 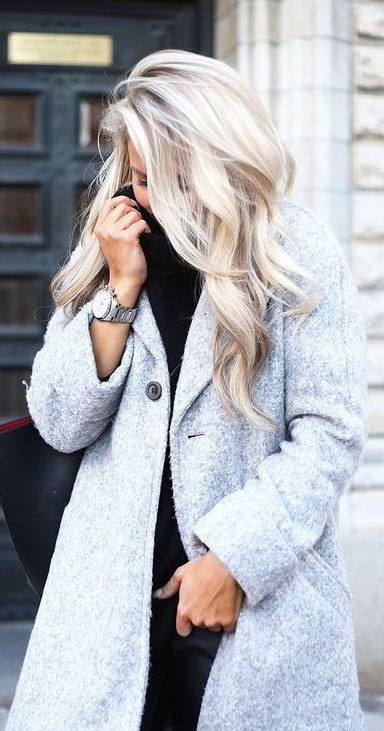 If you want to stand out from the crowd and feel comfy, then the best way to do so is to combine your favorite sweater with a stylish coat. These two are comfy and seriously cool basics. Read on to find out best outfit ideas.